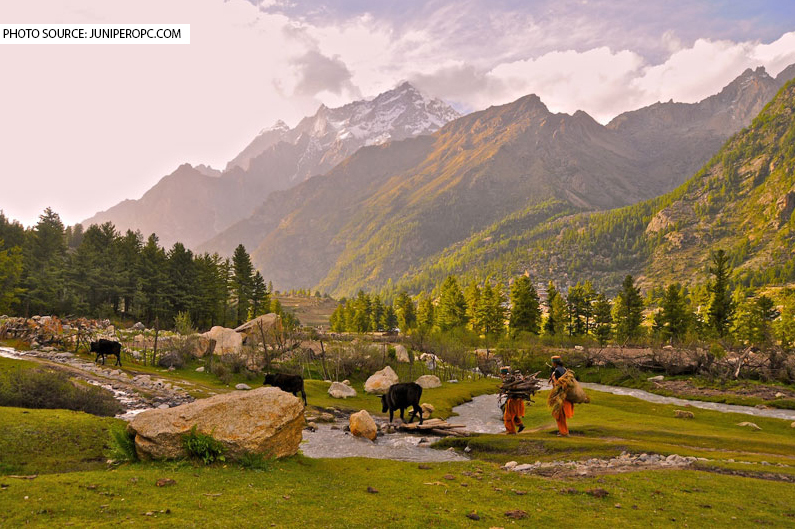 The Nalgan Pass Trek is a trek in the beautiful meadows of the Himachal and Garhwal region of the Himalayas. The Nalgan Pass Trek is an 8 to 14 day trek depending on the route you choose. It is located in the north eastern part of Uttarakhand starting from close to Himachal border, heading east and then south. The trek is an exciting expedition in the Garhwal and Himachal Himalayas, where you get to explore the wide range of flora and fauna of both these areas, along with majestic meadows of Himachal Pradesh. The Nalgan Pass Trek is a Moderate to Challenging trek that begins from Dehradun, onto the Sangla Road Head with Sankri being its base camp. At the Nalgan Pass Trek you will get to see the excellent view of both Kinnaur in Himachal and the Garhwal side from Nalgan Pass. Here you will also discover the Kanasar Lake which is totally mesmerizing. With soul touching campsites beneath the dazzling Himalayan sky in the midst of the gigantic and gorgeous valley of the Himalayas, the Nalgan Pass Trek is a delight to be on to. The best season to do Nalgan Pass Trek is from the 2nd week of May to 2nd week of June and 2nd week of September to the 3rd week of October. During the first week of May the snow is too high and therefore trekking gets really typical. June is the best summer month to do Nalgan Pass Trek, especially for the first time trekkers of high altitude. Monsoon is all hale and hearty during July, August and early September. The rain makes the area blurry and slippery. From the first week of September post monsoon the Nalgan Pass Trek turns extremely beautiful, with golden brown meadows and abundant of flowers, it continues to flourish until the third week of October. The area doesn’t experience much snowfall post monsoon, although snow patches starts to appear. Intermittent snowfall happens in bursts three or four times. What is Nalgan Pass Trek famous for? Nalgan Pass Trek is famous among tourist as For its snow clad Himalayas pass. Nalgan Pass Trek is recommended destination for Corporates, Couples, Foreigners, Groups. Nalgan Pass Trek is popular destination for following activities/ interests - Trekking. Travelling to Nalgan Pass Trek in 2019? Contact us for planning your Nalgan Pass Trek tour with best travel packages of as per your requirements!